The Watchtower takes little bits of McKenzie's comments on Jn 1:1 (a god) and leaves the false impression in the mind of the reader that McKenzie agreed with the JW's mistranslation. What is clear, is that when McKenzie says Jesus is a divine being, he is saying that Jesus is in that unique class of divine being with the Father and the Holy Spirit, to the exclusion of all others. Jehovah's Witnesses satanically redefine the meaning of the phrase, "divine being" into something different than what McKenzie meant. When McKenzie says "Jn 1:1 should rigorously be translated "the word was with the God [= the Father], and the word was a divine being. "", he is saying that "the word was with a divine being (Father) and the word was a divine being". or "the word was with a God (Father) and the word was a God" This rendering is really no problem because both divine beings are equated in the passage as equal in status as being God or a divine being! When McKenzie calls Jesus a divine being, he is classing Jesus with the Father and the Holy Spirit, who, he says, are also divine beings. So for McKenzie, as with most Trinitarians, saying Jesus is a divine being, means that Jesus is uncreated God. Notice that McKenzie comes out and says that "This is a matter of usage and not of rule, and the noun [Gk. ho theos] is applied to Jesus a few times." 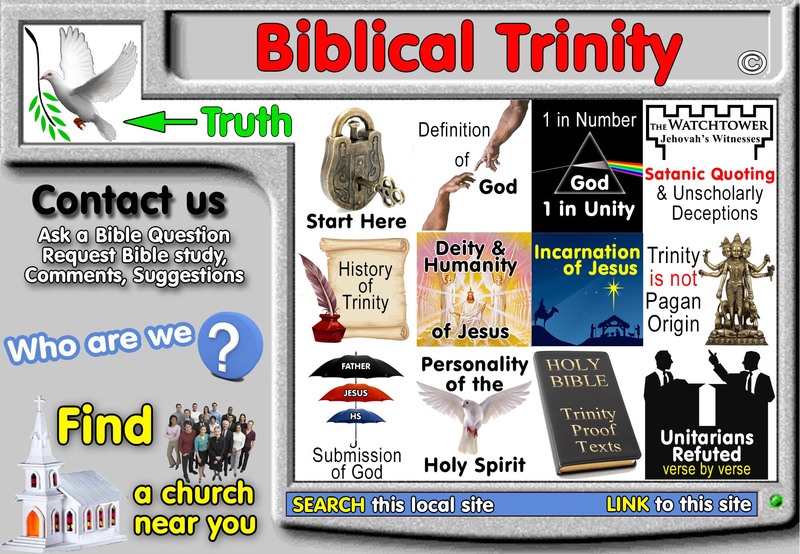 The second anti-Trinitarian quote says nothing more than the creedal definitions of trinity of the 4th century are not found in the Bible, while the Biblical definitions of the trinity, namely the deity of Christ and the personality of the Holy Spirit, are found in the Bible. McKenzie's comment on page 899, makes his meaning crystal clear: "He knows the Father and reveals Him. He therefore belongs to the divine level of being; and there is no question at all about the Spirit belonging to the divine level of being." (Dictionary of the Bible, John L. McKenzie, Trinity, p899) When McKenzie says Jn 1:1 should be translated "and the word was a divine being", he is classing Jesus with the Father as uncreated God. Its just that simple! Jehovah's Witnesses satanically redefine the meaning of the phrase, "divine being" into something different than what McKenzie meant. JW's will grasp at anything they can to promote their inconsistent and unscholarly translation of John 1:1. We have dealt with this in another place. When a Jehovah's Witness reads this top ten list, they either conclude the Watchtower organization engages is satanic quoting practices, or become dishonest themselves!